Home | Mom | Family Health Concerns | What is Asthma? Asthma is a condition that affects the airways – the small tubes that carry air in and out of the lungs. 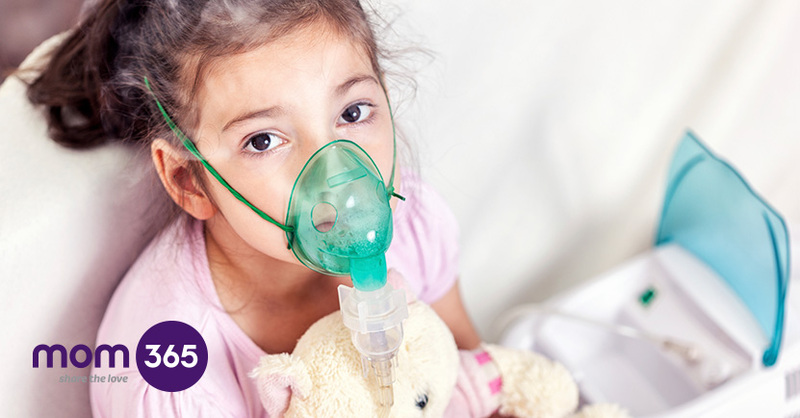 One in 11 children is currently receiving treatment for asthma. The condition varies in severity and can be triggered by many different things. It's hard to diagnose in young children because lots of them will have periods of wheeziness, and there are other childhood illnesses, like bronchiolitis, that share some of the same symptoms. Also, getting a small child to use a peak flow meter (which you have to breathe hard into to measure your lung capacity) is a tricky business. For all these reasons, most children don't have their asthma diagnosed until they're school age. Some children are symptom-free by the time they reach their teenage years, but it doesn't mean the asthma has gone away forever. Recent research suggests that it can lie dormant for years, but may become active again in later life. Asthma symptoms include coughing, wheezing, breathlessness and a tight feeling in the chest, although not everyone gets all these symptoms. Some have a combination of symptoms but the asthma is intermittent; others have one or more of the symptoms most of the time. Asthma needs immediate medical attention and ongoing treatment. Unless it's well controlled it can even be life-threatening, so seek medical advice straightaway if you suspect your child has the condition. What are the treatments and remedies of Asthma? There are two main types of asthma treatment given as inhalers (puffers), called 'relievers' and 'preventers'. Both medicines are inhaled directly into the lungs. Relievers are used when the symptoms occur, whereas preventers are used twice day every day to help stave off attacks. It can be hard for little children to master the technique that's needed to use these puffers properly, so they're given a device called a 'spacer', which is a plastic chamber that fits on to the inhaler and makes it easier for them to breathe in the medicine. There are also long-acting reliever and preventer tablets available for older children.